In the summer we have a steady parade of boats going by the waterway in front of our house. Now that the temp has dropped and the water has frozen the locals have taken to their skates and are sliding by in increasing numbers. 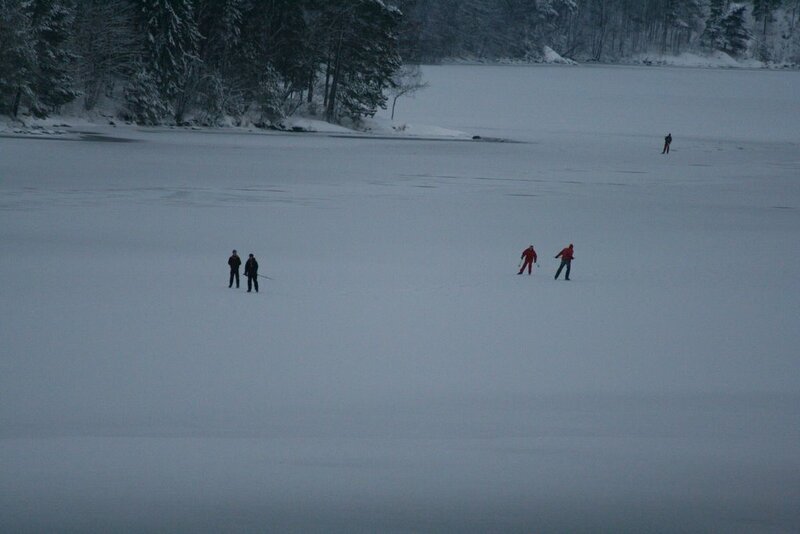 It is tricky business though and they generally use a guide who skates in advance of them so nobody "vanishes" under the ice. Yikes!